Most of you are great photographers and do a really good job with your camera. And your work can add some value in someone’s life. But their work unnoticed and they get frustrated. It’s not enough to click great photos, you need to promote your art as well. If you want to become a successful photographer, you need to make sure that your work reaches the right audience. But the question is how will you get attention? Digital marketing is here to help you to get your work noticed. You don’t get booked because you have good pictures, you must stay in front of your audience. Digital marketing channels like SEO, Social Media, Email, Blogging, Mobile, etc. will help you to get more exposure and expand your reach. In this article, you’ll find 5 digital marketing ways which can help you to promote your work and make some good numbers. Why do you need a photography website or a blog? If photography is more than your hobby and you want to build a business model around it, then you need a website or a blog. A website gives you an opportunity to talk about yourself, your work and show your personality, so your audience can relate to your work. Your blog is a great place to talk with your audience, tell stories, share your journey, and let viewers know the story behind a picture. Your website acts as a showcase of your photography work which helps magazine publishers and clients to hire you. Are you thinking about creating a photograph website or blog? Choose a relevant niche. It will help you to stand out from the other photography blogs. Build yourself a brand. A photographer should always look for the ways to make his/her work more visible online. Social media is a great platform to interact with your audience and show your work to people. Create a Facebook page, Instagram account, Twitter profile, and Pinterest board. Pinterest is an image based platform which is most popular among females (80% users are females) and 30+-year-old group. A picture speaks a thousand words. But a photo with an engaging caption speaks a million words. Post photos regularly on your social media channels to stay in your viewer’s eyes. Remember consistency is the key to success. Engage with your followers and create a real conversation with them. Reply their queries and ask for suggestions. Build a pattern of trust with them and they’ll more likely to buy from you. 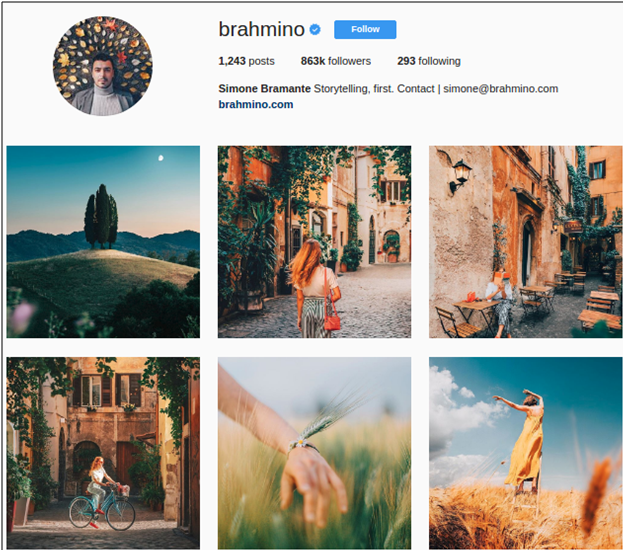 Here’s Simone Bramante’s Instagram profile to inspire you. Do you have a quality of photos that you believe people may want to buy? Today, the popularity of self-publishing has increased. Most of writers and bloggers are self-publishing e-books which have made stock photography in demand. You can sell your photos and images as stock photography. People need high-quality stock photographs for their website, blogs, email newsletters, templates, banners, flyers, etc. 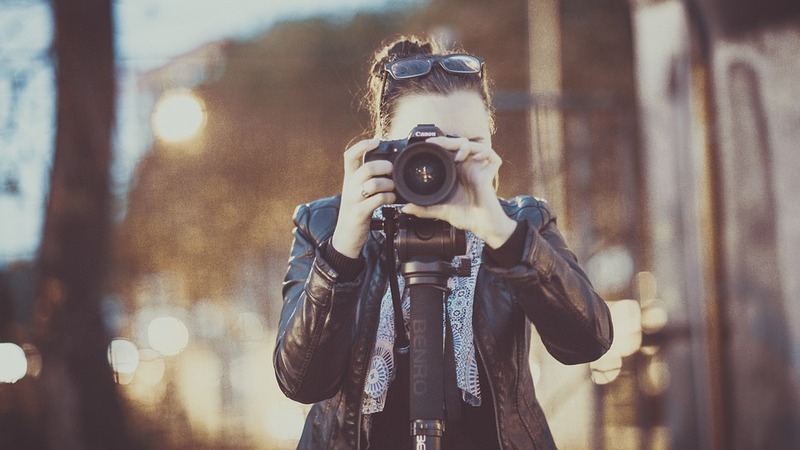 So it can be a great opportunity for photographers like you to earn some good numbers. Selling your photos through a microstock website is easy and quick. I recommend you to try Shutterstock, iStockPhoto, Dreamstime, and 123RF. If you have a website, you can also use it to sell your photos online. Let allow your visitors to buy a photo directly from your gallery on your website. If you’re a guy and you like a girl, you ask her phone number first, right? You don’t propose her for marriage. If you get her number, first you have to build a strong relationship. If you want to build a relationship with your website visitors, first you need to ask for their contact information (email address). Your website or blog is the best place to collect their email addresses. See how Photofocus ask me for my email address. Email produces measurable results. It converts 3 times better than social media. If you’re ignoring email, then my friend you’re making a huge mistake! 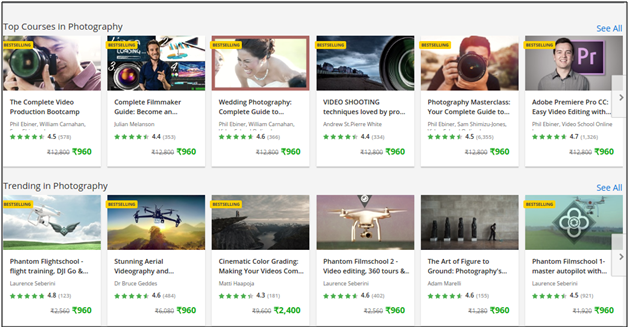 If you’re not familiar with Udemy, let me tell you – Udemy is an online marketplace where anyone in the world can take or teach a course on virtually anything. You can create a photography course and post it here. Choose “photography” category from the drop down menu. To get more specific results, you can also choose a sub-category. And you’ll get all the available courses. Create a FREE account, create a new course, and start selling. Hope these ways will help you to make some good number through your photos. Do you want to share some ways which helped you to make money online? Or you have any queries. Please share with us.